How to clear an any unknown BIOS password ? If you have mistakenly forgot or lost your BIOS password or you receive a password at boot that you do not know, you will need to clear the BIOS password by one of the below methods. Precaution: When inside the computer please be sure of the potential of ESD. Try using generic BIOS passwords. A complete listing of these passwords can be found on document CH000451. 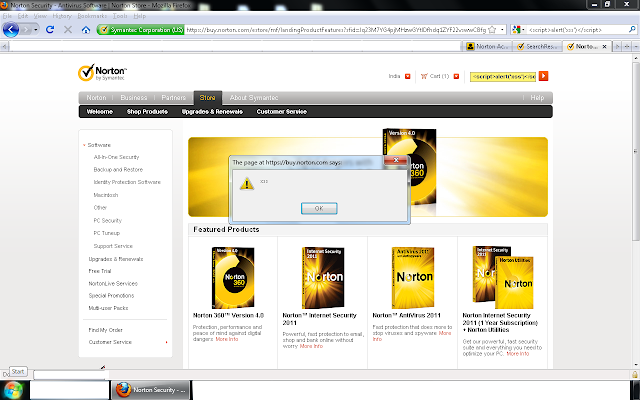 There are utilities designed to help bypass BIOS passwords. An example of a great utility to decrypt / bypass BIOS passwords is the PC BIOS Security and Maintenance toolkit, which is available by clicking here. 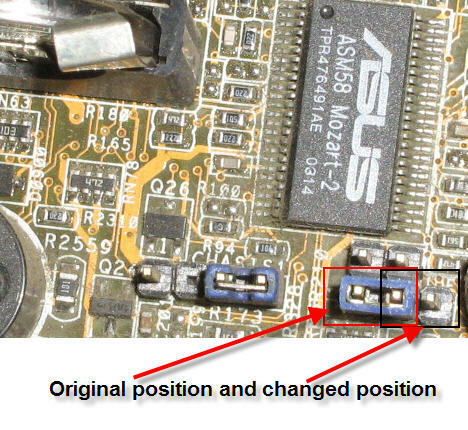 On the computer motherboard locate the BIOS clear / password jumper or dipswitch and change its position. Once this jumper has been changed, turn on the computer and the password should be cleared. Once cleared, turn the computer off and return the jumper or dipswitch to its original position. The location of the jumpers or dipswitches may vary; however, here are general locations where these jumpers / dipswitch may be located. On the edge of the motherboard - Most jumpers are located on the side of the motherboard for easy accessibility, verify by looking at all visible edges of the motherboard. By the CMOS battery - Some manufactures will place the jumper to clear the CMOS / BIOS password by the actual CMOS battery. By the processor - Some manufactures will place the jumpers by the processor of the computer. However, note that in some cases these jumpers will be to change the processor and not the password. 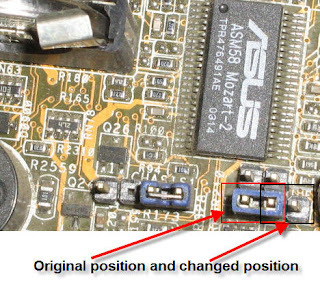 Under the keyboard or bottom of laptop - If you are working on a laptop computer the location of the dipswitch (almost never a jumper) can be under the keyboard or on the bottom of the laptop in a compartment such as the memory compartment. Other visible location - While it is possible that the jumpers / dipswitches may not be in a visible location, most manufactures try to make things easier by placing the jumpers / dipswitches in another visible location. Additionally, when looking for the jumper / dipswitch the label of that switch can be anything; however, in most cases will be labeled CLEAR - CLEAR CMOS - JCMOS1 - CLR - CLRPWD - PASSWD - PASSWORD - PWD. On the computer motherboard locate and remove the CMOS battery for at least 10 minutes allowing the computer to lose its information. Note: this will not work on all computers. If your manufacturer has a bypass password this can be entered and allow you access to the BIOS and/or computer. Because of the security risk of a bypass password, generally only older computers will have this option. In addition, it is likely that this information will only be able to be obtained from the computer, motherboard or BIOS manufacturer. On the computer motherboard locate the CMOS solder beads and jump the solder beads to clear the password. The identification and location of these solder beads can vary and if not available in computer documentation is generally only obtainable through the computer manufacturer. If one of the above solutions do not clear the password or you are unable to locate the jumpers or solder beads, it is recommended you contact the computer manufacturer or motherboard manufacturer for the steps on clearing the computer password.